All of the hours devoted to blogging, at some of the nation’s largest and smartest companies, does not appear to be time well spent…if the goal of a blog and other forms of content marketing is to generate new business. Avoid topics that have been (or are likely to be) covered by other firms, or topics that may be considered old news by the time your post is published. Select blog topics that are of immediate or continuing interest to your target audiences, and cover them in a unique manner. Your headlines don’t grab attention. With a few seconds to grab a potential reader’s attention, headlines are the most critical element of a blog post. Invest the time necessary to write a snappy headline that addresses the “What’s in this for me?” question. You’re competing for eyeballs and attention against all types of online and offline content, as well as everyday distractions. You need to state your case in fewer than 750 words. Fewer than 500 words is even better. Make your point, and leave them wanting more. You don’t provide an interesting point of view. People read blog posts to gain insights and opinions. If you’re simply presenting facts, your posts are probably a snooze-fest. The potential for you to make your blog a marketing device lies in your ability to present provocative, unique or contrarian viewpoints. Strive to be a thought leader; not a news service. You have no blogging strategy. If you’re selecting blog post topics on a random or opportunistic basis, then you’re lost in Tactic Land. Create a simple editorial plan that identifies key blog topics related to your firm’s value proposition (why people should hire you), and integrate those topics into a content production calendar to ensure that you cover those topics over 6 months or a year. A blog’s marketing function is to drive top-of-mind awareness with your clients, prospects and referral sources. If you are not generating original content with some regularity, probably at least once a month, then don’t bother blogging at all. In fact, if your last blog post is more than 2 or 3 months old, it’s a brand liability. You don’t merchandize your blog content. Another way to increase readership of your blog is by re-purposing its content, in whole or part, in places where it’s likely to be seen. For starters, they should be published on LinkedIn, both on your personal profile (as a long-form blog post like this one), and as an “Update” on your firm’s corporate LinkedIn page. Posting it on Twitter makes sense only if you (or your firm) have a reasonable number of Twitter followers. 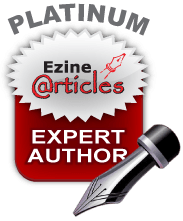 If your content is interesting and not self-serving, you can also look for opportunities to have it published in an industry blog, or convert it into a bylined article for a relevant trade or business magazine. You don’t drive traffic to your blog. Unlike “Field of Dreams,” simply having a blog does not guarantee that any readers (particularly potential clients) will ever benefit from your intellectual capital. You need to promote your blog posts, individually and collectively. As a first step, every quarter send your database of contacts (hopefully you have this) a nicely designed email featuring 2 or 3 of your best recent blog posts, with an “In case you missed this” cover note. If it’s done correctly, your blog can and will deliver a meaningful marketing ROI. In most cases, this means working smarter, and not necessarily harder, on your company’s blog. Should Marketing Automation Customers be Pre-Qualified? For decades, the ONLY way to produce any type of printed material – ranging from sales & marketing brochures, to annual reports and informational flyers – involved a multi-step, time / people-intensive, costly process requiring a copywriter, graphic designer, a typesetter and a printing press. That longstanding production method was made obsolete over a 5-year period, with development of “What You See Is What You Get” screen technology, combined with the invention of laser printers and graphic design software such as PagerMaker. Introduction of this new technology called “Desktop Publishing” rocked the business world. It not only changed how companies produced printed materials; it also changed who was responsible for producing them. And that created a different problem. Armed with Desktop Publishing, many companies failed to grasp that their new technology could not replace professional skills such as graphic design, copywriting, branding and marketing required to produce effective print materials. In the hands of people lacking those communications skills, desktop publishers generated materials that, at best, were ineffective, and often hurt their company’s brand reputation and sales efforts. The error of many desktop publishers? Believing that the new technology was a plug & play solution, rather than a tool to make people more effective. Most marketers understand the evolution of Marketing Automation technology. In a nutshell: legacy sales management software (CRM systems), combined with the emergence of email and social media platforms, have provided marketers with new ways to reach and influence target audiences directly and indirectly. That capability, bolstered by access to data regarding customers and their online behavior, has led to a proliferation of technology companies peddling a mind-boggling array of Marketing Automation platforms intended to increase consistency and precision during every stage of the customer journey. The reality, however, is that the Marketing Automation industry has a failure rate of 60%*; not because of its potential, but because of the inability of end-users to harness the technology properly. The error of many companies using Marketing Automation? Believing that this technology is a plug & play solution, rather than a tool to make people more effective. Déjà vu. Can Marketing Automation Save Itself from Extinction? To operate a motor vehicle, you need to possess some basic knowledge of proper behavior as a vehicle operator. You must also pass a skills test, to demonstrate your ability to apply the rules of the road; to use the technology in a responsible manner. As an industry, Marketing Automation is in trouble for that reason. More than half (and likely many more) of the operators of Marketing Automation products are likely unqualified to use them. They lack a basic understanding of marketing fundamentals, and put their companies at financial and reputational risk by using the technology in an irresponsible manner. Using the automotive analogy, too many marketers are attempting to drive an 18-wheel tractor trailer through busy, narrow city streets without knowing how to shift the rig’s gears or apply the brakes, and lacking side-view mirrors. So when they eventually crash the vehicle, or give up the keys because they can’t out of first gear…they will attribute their failure to the truck’s manufacturer, not to themselves. So how does Marketing Automation save itself from extinction? Here’s a highly improbable solution: Require that prospective customers are pre-qualified to purchase your product. Demand proof that would-be customers understand marketing fundamentals, and can demonstrate the potential to succeed (and to become loyal, enthusiastic brand ambassadors) by proper application of your product. Customers who don’t measure up…can be referred to competitors. · Know Who Your Customers Are – Many companies have only a fuzzy understanding of their target markets, or know why those customers should buy from them. · Work from a Written Marketing Plan – Here’s the acid test: if your marketing plan is not written down, then you don’t really have a plan…because there’s no accountability. · Create Effective Public-Facing Assets – Most websites are outdated, unappealing and incompatible with mobile devices. LinkedIn is also an important due diligence tool, but most companies display a hodge-podge of personal profiles, and demonstrate no consistency in how the company is described in those profiles. · Build Database Discipline – If a company lacks the internal discipline to collect and keep current its own database of clients, prospects and referral sources, how can it benefit from an automated system that requires that raw material? · Produce Exceptional Content – If a company can’t or won’t consistently produce relevant, interesting, non-self-serving content, then Marketing Automation will fail. Garbage out, garbage in. · Align Marketing & Sales – This is the toughest hurdle, because it’s cultural. Sales and marketing professionals must agree up front on lead generation goals and processes, and demonstrate mutual respect for each other’s roles. · Leverage Online & Offline Analytics – In addition to having access to online performance metrics, companies need to talk directly to customers and prospects on a regular basis, to ensure a connection between marketing strategy and business outcomes. There’s no expectation that any company peddling Marketing Automation would ever apply any pre-conditions to a sale. And despite best efforts to educate and support customers, the industry’s failure rate is likely to increase as a result of the customer shortcomings reflected in this laundry list of prerequisites. And if the history of the marketing function serves as a guide, there’s no expectation that companies will ever stop trying to make marketing a science. Or that marketers will stop wanting technology to provide easy solutions to a business discipline that will always require lots of human thinking, and lots of human creativity and effort. *Editor’s Note: Admittedly, the 60% failure rate statistic that’s found online may be outdated, and tough to defend, in terms of research rigor. (For starters, how many companies are eager to admit a costly failure?) It’s certainly a statistic that raises the hackles of Marketing Automation companies. To justify this article’s premise: here’s a more recent and credible insight from eMarketer into how highly companies rank Marketing Automation, which may reflect their level of success with that technology. It also raises other, perhaps more troubling issues, such as why “Social Media Analytics” is ranked so highly.